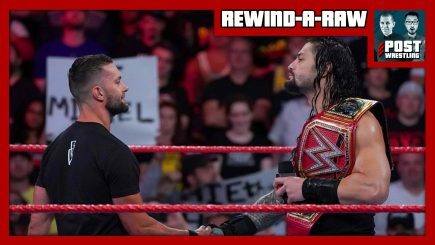 WWE was in Milwaukee for Raw and featured Baron Corbin’s heel unit destroying babyfaces Finn Balor and Elias, Dean Ambrose gets vaccinated from the audience, Seth Rollins held an Open Challenge for the Intercontinental title. We also discuss WWE making several big moves with the NXT UK brand and the passing of Larry Matysik. WWE returns to L.A.’s Staples Center for the third straight night with the fallout from Survivor Series. 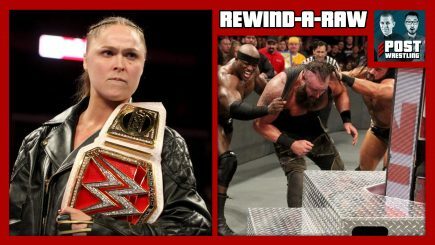 We explain what’s going on with the Braun Strowman injury angle, Ronda Rousey defends her title against Mickie James, A-O-PEE-PEE emerges, and Seth Rollins searches for Dean Ambrose for three hours. Monday’s Raw from from Kansas City was the final Raw leading into the Survivor Series featuring a big angle involving the women of SmackDown storming the ring, Brock Lesnar making his first appearance since Crown Jewel, the men’s and women’s teams for Raw are finalized, two attempts at a silly tag team battle royal, and Ronda Rousey has no time for millennials. 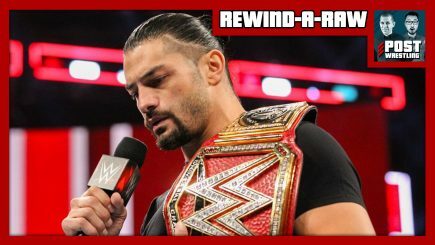 It was a very emotional edition of Raw with Roman Reigns relinquishing the Universal title with the news that he is battling leukemia. The show also featured a contract signing between Ronda Rousey and Nikki Bella, Seth Rollins & Dean Ambrose going for the Raw tag titles, the new title match at Crown Jewel, an appearance by DX and more on the “go home” show for Evolution. 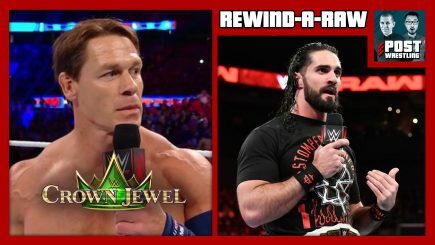 John Pollock & Wai Ting review Raw from Philadelphia, how the Crown Jewel show was handled amidst mounting criticism, two more qualify for the World Cup, your feedback & an announcement about a fundraising show. Raw took place from Chicago and featured the announcement that Shawn Michaels will wrestle at Crown Jewel as part of a reformed D-Generation X, Trish Stratus will now team with Lita against Alexa Bliss & Mickie James at Evolution, Kurt Angle has his first match on Raw in almost 13 years, The Bellas attack Ronda Rousey & much more on a loaded Raw. 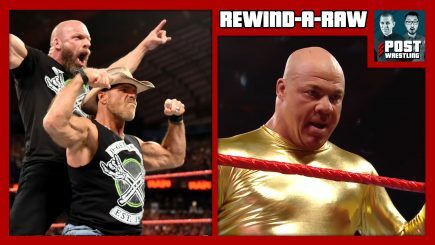 Raw took place from Seattle (the former home of the SuperSonics) featuring a closing segment with The Undertaker, Kane, Triple H & Shawn Michaels. 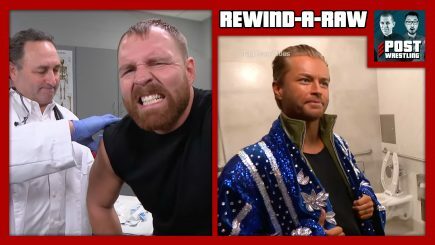 The show also saw an incredible live reaction to Elias & Kevin Owens, a Ronda Rousey match, and more teases of Dean Ambrose splitting from The Shield on the go-home Raw before Super Show-Down. Raw took place from Denver with a show-long tease regarding Dean Ambrose’s allegiance to The Shield leading to a six-man tag, Drew McIntyre & Dolph Ziggler defend the Raw tag titles, Liv Morgan is injured during a match with The Bella Twins & Natalya, Stephanie McMahon & Triple H appear, and more build up for Super Show-Down. 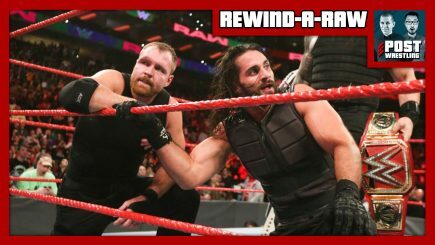 Raw took place from Dallas and featured the official announcement of WWE Crown Jewel in Saudi Arabia with a triple threat match for the Universal title, The Undertaker returns to address Triple H, Roman Reigns defends the Universal title against Baron Corbin, and Ronda Rousey learns the art of the Open Challenge. Plus, a review of the top matches from NJPW’s Destruction in Beppu show. Mick Foley returns and is added to the Hell in a Cell event as a special referee, The Shield thwarts the Louisiana legal system and outsmarts Baron Corbin, Alexa Bliss attacks Ronda Rousey heading into their title match, Triple H responds to Undertaker. Raw took place from Ohio with a show-long story involving The Shield being arrested and then beaten to a pulp in the final segment, new Raw tag champions, a strong night for the top heel unit, a big segment involving The Undertaker & Shawn Michaels, and the return of Renee Young to commentary. 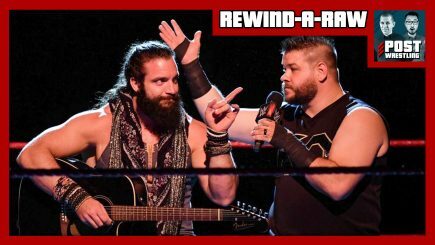 John Pollock & Wai Ting review Raw from Toronto featuring Braun Strowman’s preemptive cash-in for HIAC, Trish Stratus appears with Elias, Kevin Owens “quits”, plus the news of the day with a scary tweet sent out prior to Raw, SummerSlam 2019 weekend, Ed Cohen passes away & a Smash Wrestling review. 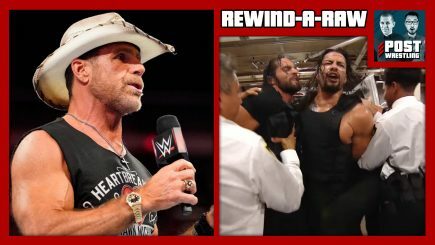 It’s SummerSlam Week as Dean Ambrose returns, Paul Heyman gives Roman Reigns an offer, and Ronda Rousey and the WWE remember Jim “The Anvil” Neidhart. We also discuss the day’s top stories as John recaps the life and career of Jim Neidhart, and Colt Cabana sues CM Punk over legal fees. 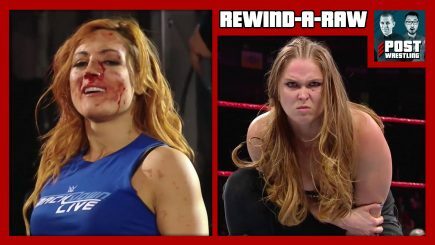 Ronda Rousey makes her TV in-ring debut against Alicia Fox, Paul Heyman sheds tears over Brock Lesnar, Seth Rollins looks for a partner, Ruby Riott returns, and Lashley doesn’t like Elias saying his name. 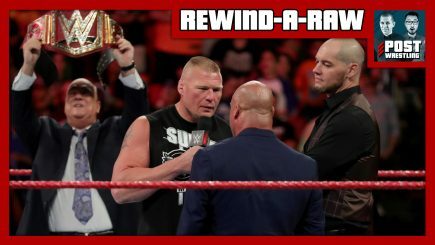 John Pollock & Wai Ting review Monday’s Raw from Miami with the return of Brock Lesnar for a show long story leading to an attack on Kurt Angle, a break from Paul Heyman & chants of “We Want Roman”. Plus, Ronda Rousey’s first Raw match announced, Bobby Lashley sings & the build for SummerSlam continues. Stephanie McMahon and Triple H announce ‘Evolution’, the first all-women’s WWE PPV, Roman Reigns faces Bobby Lashley to determine Brock Lesnar’s SummerSlam opponent, and Sasha and Bayley are best friends again. 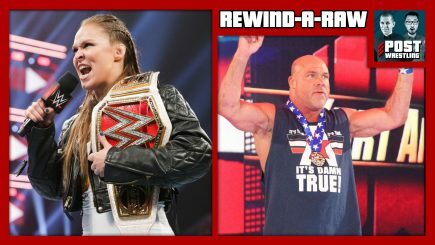 The Sasha Banks-Bayley saga continues with a confession of love, Paul Heyman answers Kurt Angle’s threat to strip Brock Lesnar of his title, Ronda Rousey attacks, triple threat eliminators take place to determine Lesnar’s next challenger.